The team at the University of Manchester led by Professor Will Dixon have shared the first interim results from this ground-breaking study powered by the uMotif platform. This study demonstrates what we passionately believe at uMotif, that clinical research can be transformed by our technology, unlocking hidden secrets for our health. In this case, the study uses patients own smartphones to understand whether there may be a link between weather conditions and long-term pain. The results from three UK cities using data from the study between February and June suggest that there is an association. Across all three cities, as the number of sunny days increased from February to April, the amount of time spent in severe pain decreased. However, the amount of time spent in severe pain increased again in June when the weather was wetter and there were fewer hours of sunshine. 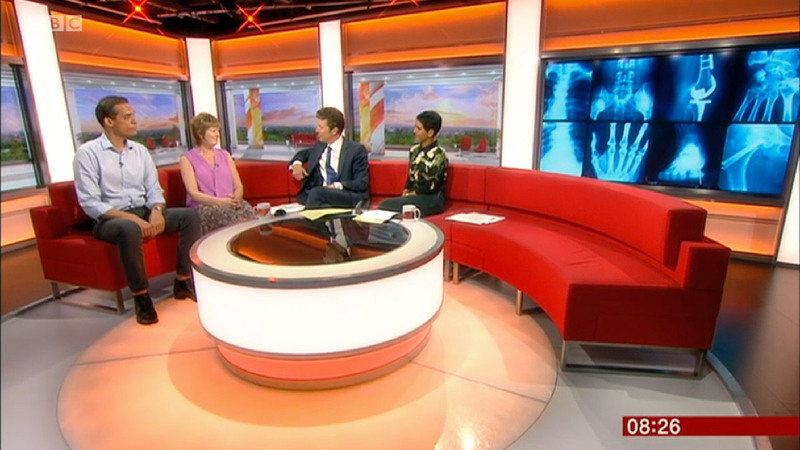 Will Dixon and Cloudy participant Karen Staniland were invited to talk about these early results to Naga Munchetty and Charlie Stayt on the BBC Breakfast sofa, followed by an interview with BBC World Service, ITV lunchtime News and in the evening on BBC North West Tonight. Radio interviews were also given by the Manchester team to BBC Radio 4, BBC Manchester, BBC Kent, BBC Birmingham and 5live. In addition to the television and radio coverage the project made headlines and was featured in almost all of the national newspapers. Some great stories were written in The Guardian, The Independent, The Times, BBC News, The Daily Mail, The Telegraph, The Financial Times, and The Mirror as well as others. There has been media enquiries from the US and Europe, showing that interest in this subject extends far beyond the shores of the UK. The coverage of the results has meant that another 2,500 people have signed up to participate in the study, all using their own smartphones to take part. This shows the untapped demand the public have to take part in clinical research, and the uMotif platform's reach in delivering this research right into the hands of those who want to help contribute.